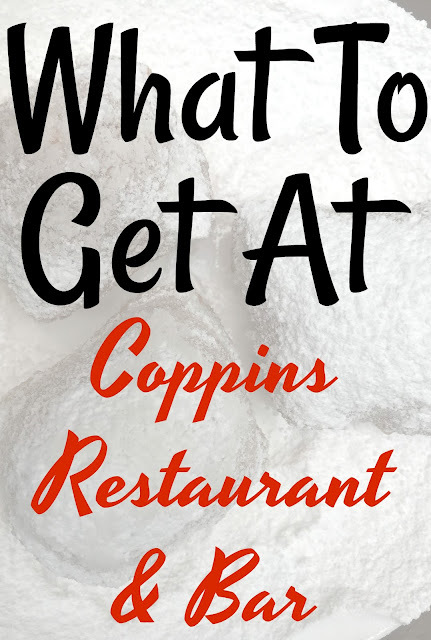 What to Get at Coppins Restaurant & Bar | The Food Hussy! I love being back in Downtown Cincinnati - the nice thing too is that Covington and Northern Kentucky are so close! 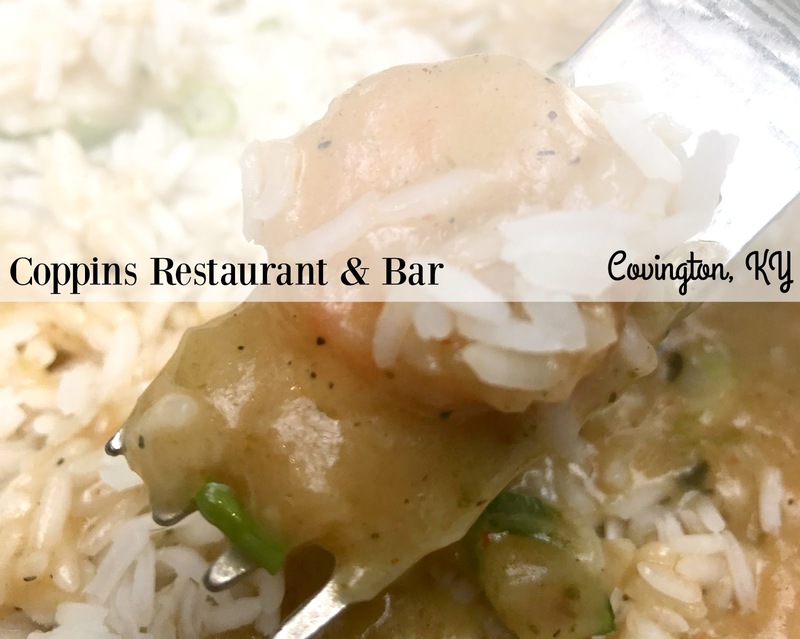 For Greater Cincinnati Restaurant Week - we decided to check a couple of places out and the first was Coppins Restaurant and Bar in Covington. 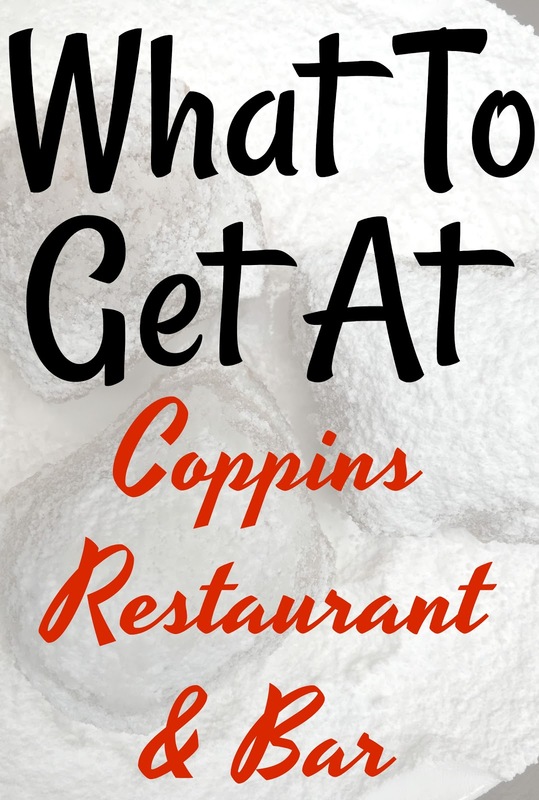 Coppins Restaurant and Bar is located in Hotel Covington which is a recently remodeled hotel in the wedding district of Covington. It's a very pretty hotel - they have a beautiful open bar area and a little shop in the front of the store as well. I got distracted by pink furry things in the shop! We were there for the Restaurant Week Menu (3 courses for $25) but decided to add on an appetizer from the regular lunch menu for the fun of it. 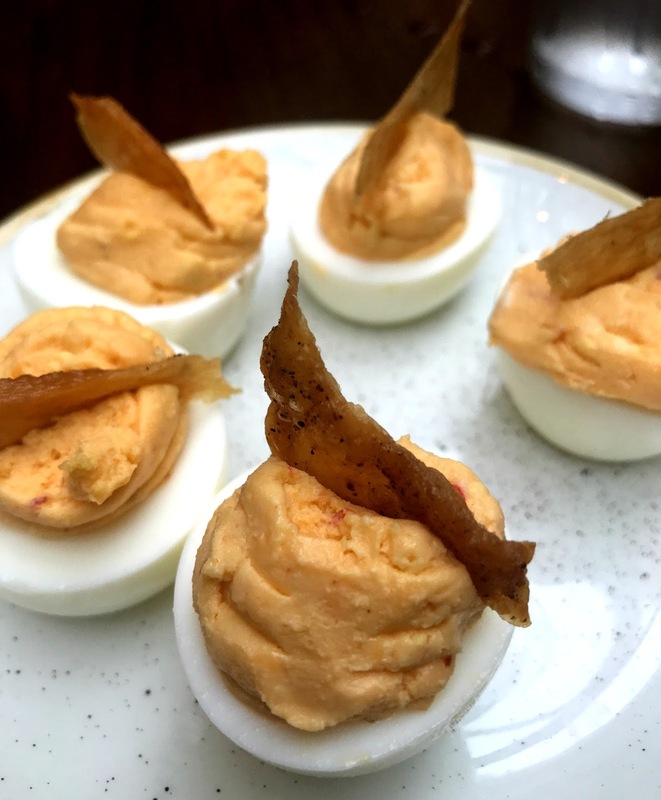 We chose Deviled Eggs with pimento cheese and chicken cracklin'. These were okay - I think I'm a deviled egg traditionalist and I don't love pimento cheese - the cracklin was a little tough. So meh...it was ok. 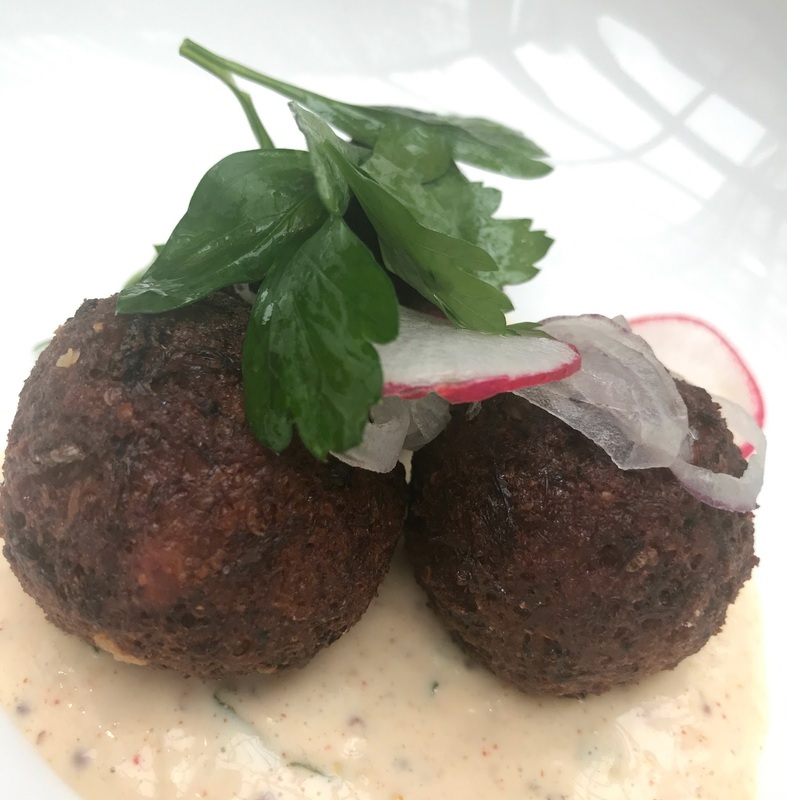 I didn't care for the crab cakes - they were overdone and too much filler. The remoulade was really good though and I liked the crisp little radish slice. For the Second Course, we could choose from Shrimp Etouffee, Red Beans & Rice with Grilled Smoked Sausage or Fried Green Tomato Po'Boy. Maria & Monica both like spicy and went for the Red Beans and Rice - per the waiter's suggestion on the spice level. They both liked it a lot. I tried one bite and it was FAR too spicy for me. I couldn't have eaten it. 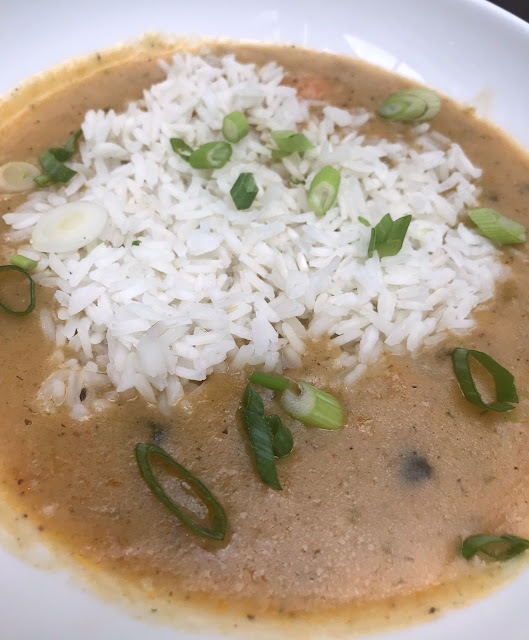 I got the Shrimp Etouffee (which Maria called "eh-too-foo-fee" - bhahahaha). Again - didn't love. The sauce/broth had good flavor but the shrimp was super small and seemed like the frozen kind you get in a bag. The worst part though - the rice wasn't cooked all the way. Like - it crunched. For the Third Course - we could choose from Cafe Au Lait Cheesecake, Beignets or Classic Bread Pudding. I was ready to choose the bread pudding but our server recommended the Beignets. 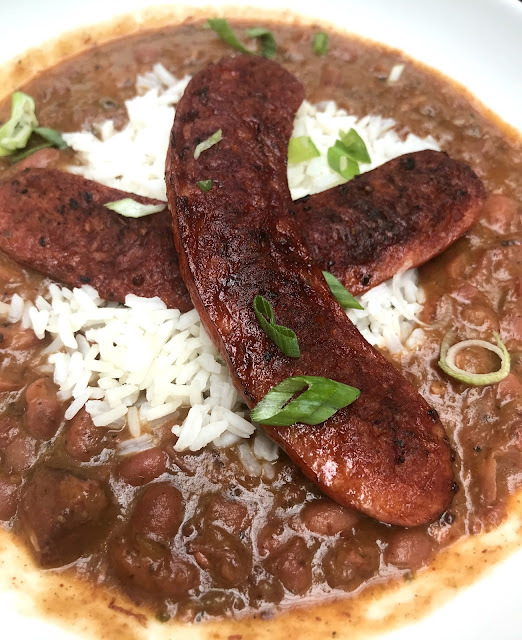 I loved them in NOLA on my recent trip and went for it. Actually - all 3 of us got them! These were delicious and perfect! 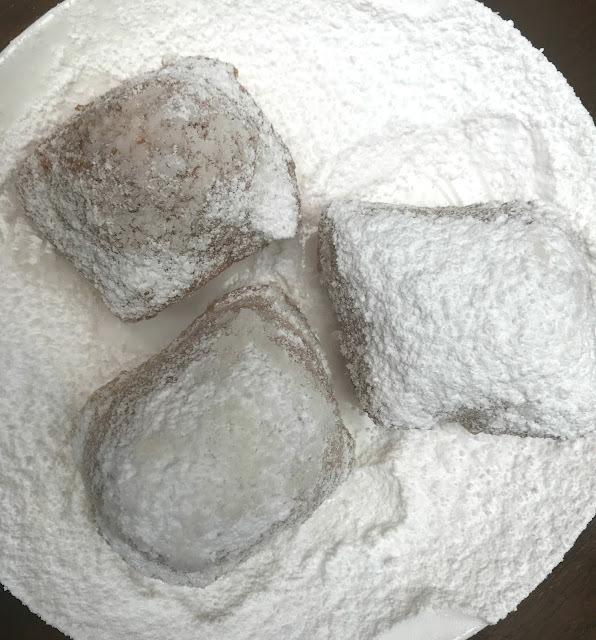 Light, pillowy donuts under a foot of powdered sugar. What Should You Get? Well - I didn't love it - but that said - I've heard great things about their brunch and specifically their biscuits so I would definitely give Coppins another try. And those Beignets were wonderful! 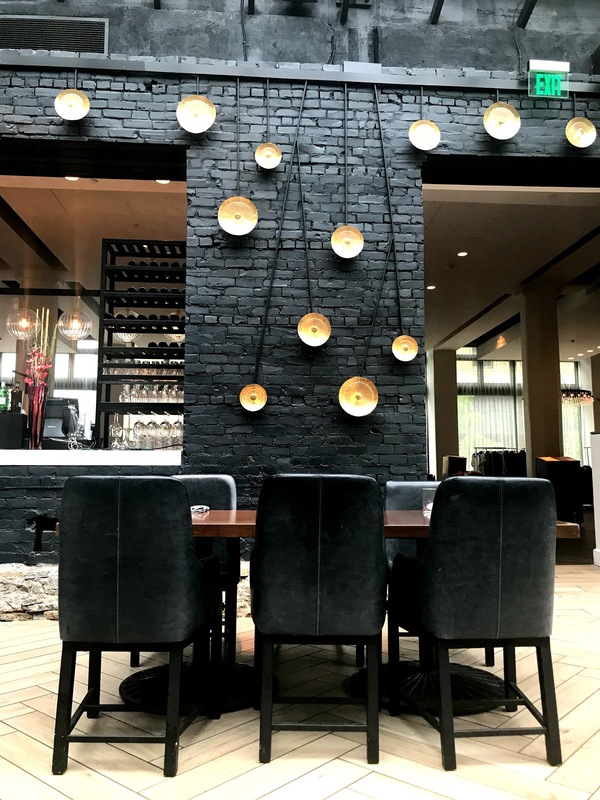 Restaurant Week is always about getting out and trying things and that's half the fun! Our favorite for the week was Court Street Lobster! Don't miss them!